Put on a Smile, Picture Day is Coming! Mark your calendars! 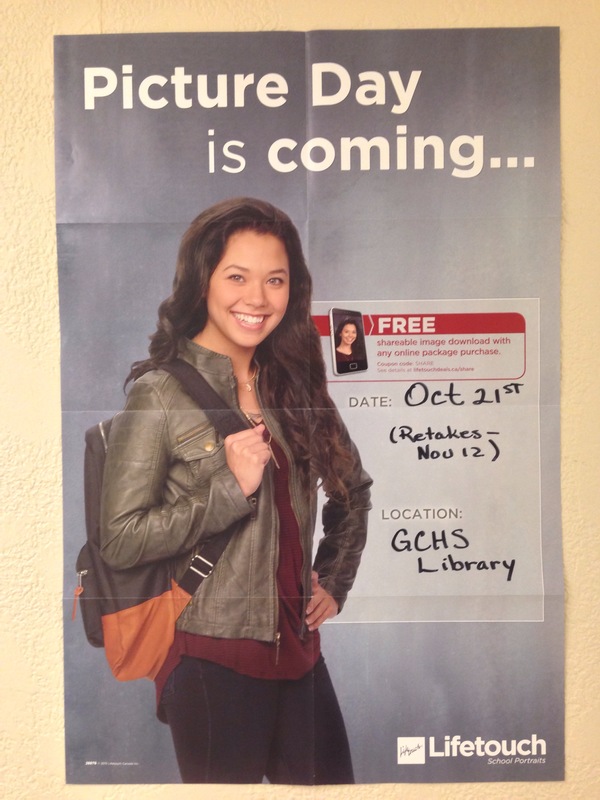 GCHS Picture Day is scheduled for Wednesday, October 21! Check out the poster for more information. Absent on that day? Retakes will occur on November 12.